These particular types of products are composed of sheets of abrasive material, generally aluminum oxide, and according to their shape, are divided into flap wheels, abrasive wheels, or belts. The abrasive belts and wheels find particular use in the sanding process of several materials, such as steel, aluminum and zamak alloy. Belts are used on the first heads of the machines in order to proceed to a first operation of roughing out of the workpiece. 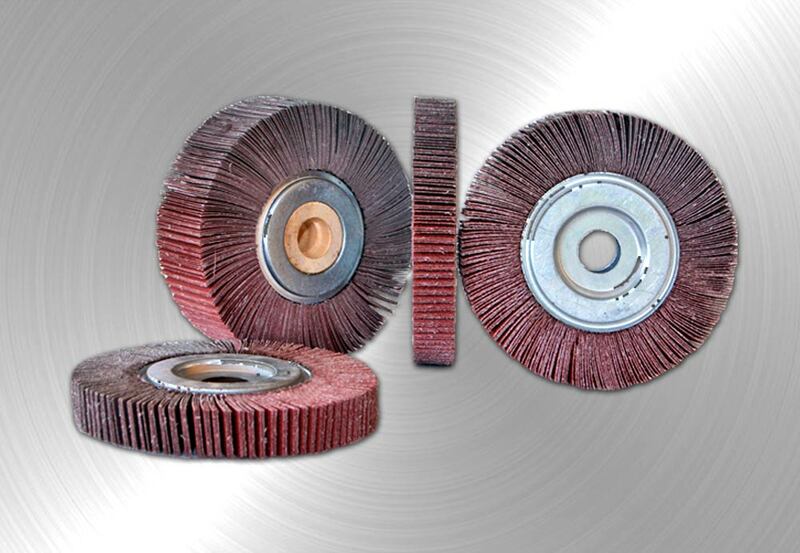 The abrasive wheels are particular types of discs composed of segments of abrasive belts; they are used in the sanding process of metals and can be manufactured with different thicknesses and grains according to the application required. The lamellar abrasive wheels, on the contrary, although not differ from the use of the abrasive wheels, are composed of sheets of abrasive belts held by a metallic clip, unlike the abrasive wheels ones, which are with cardboard.